After five years as husband and wife, Justin Timberlake and Jessica Biel look as fresh-faced and head-over-heels in love as they did when they first stepped out together, and they certainly aren't afraid to tell the world about it via their often adorable social media output. If you remove the filter, however, it becomes clear that their marriage is not as conventional as they would have you believe. From hunky strangers and other women to extremely awkward birthday parties, let's take a look at the stranger side of the Timberlakes. The superstars first met through mutual friends and got to know each other at a Golden Globes after-party in 2007. Their instant chemistry apparently proved too much for JT's ex, actress Cameron Diaz–the Charlie's Angels star reportedly got into a row with the former 'N Sync singer when she spotted him chumming it up with Biel. The Sinner star reportedly arranged for Timberlake to get her digits that evening, and while Timberlake insists he did all the leg work early in the relationship, sources close to the couple paint a different picture. 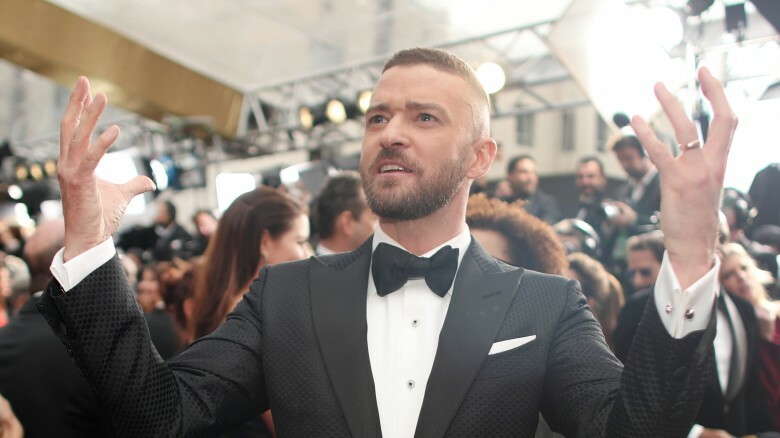 According to Us Weekly, Timberlake told reporters from the Hollywood Foreign Press that "there is a thing called chivalry and it doesn't have to die with the birth of the internet. The way I see it, if you're asking a girl out on a date, it's only right to do it in a way that she can hear your voice. I had to be pretty persistent in order to get her to say yes." The thing is, he didn't actually call right away, and that sent Biel into a mini meltdown. 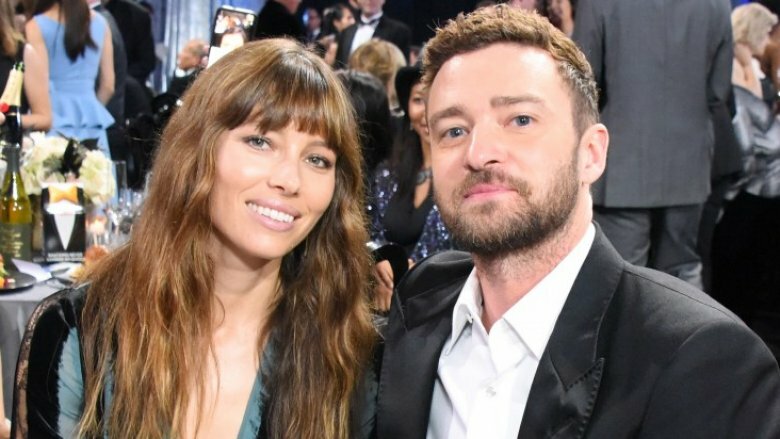 During a birthday party Biel threw for her partner years later, the actress gave a speech to friends and family in which she admitted that she took matters into her own hands and drove to JT's house after he failed to call the next day. One party-goer told the Daily Mail, "Jessica was overcome with emotion when she stood up to toast her boyfriend on reaching the milestone. She quickly welled-up as she reminisced about the first time she met Justin and joked about how she virtually stalked him into going on a date with her." When Timberlake finally made the call, it didn't take Biel long to realize she wanted to marry him. The actress opened up about the romance's early days during an interview on The Late Late Show With James Corden (via Entertainment Tonight.) "I have this email that is really funny that I sent to my producing partner Michelle [Purple], and it's literally like, 'OK, I can't make that meeting so I have to cancel, also I know I will marry this man, you can't tell anybody but your husband.' I have no idea why I wrote that email, I don't know what he did that day, but I have this hilarious email." The fact that the Minnesota girl was so sure about spending the rest of her life with Timberlake at this early stage is even stranger considering most of their relationship at this point was conducted over the telephone. Biel told Corden that Justin's hectic touring schedule meant physical contact was rarely possible back then. "We didn't kiss for a very long time because he was on tour," she said, "and we were talking on the phone, like normal pre-teens do, we were just chatting on the phone for hours. So, we never really kissed for a very long time." Both celebs tried to keep Timberbiel under wraps when they initially hooked up in 2007. Those rumors became impossible to deny after the pair was papped several times during a romantic city break to Rome in 2008, first enjoying a glass of wine in a pizzeria, then buying some genuine Italian gelato, and finally chewing each other's faces off down a side street. Photographic evidence meant Timberlake and Biel were on their way to becoming a celebrity power couple whether they liked it or not. Four years later, Biel told GQ (via HuffPost) that Timberlake was the one part of her life she still owned, and she wanted to keep it that way. However, after they tied the knot the following year, these two both started down the slippery slope to oversharing. 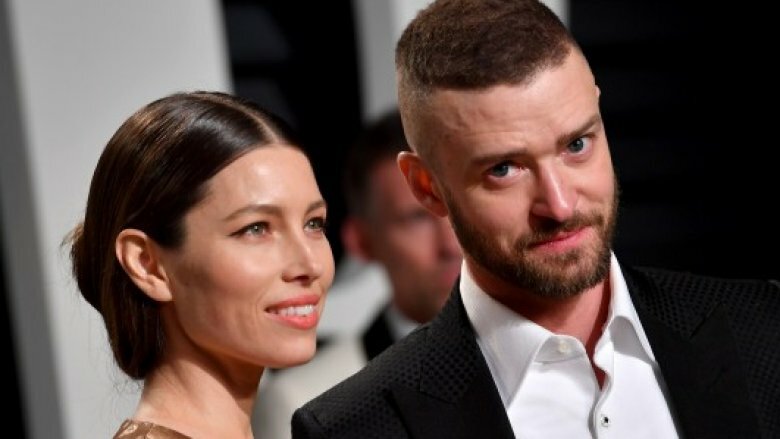 Nowadays, it's not uncommon to see the Timberlakes declaring their love for one another on public platforms, with JT's Instagram feed walking a fine line between sweet and cringe-worthy. In 2012, Biel walked down the aisle to a song written and performed by her soon-to-be husband as part of a lavish ceremony in Italy, but the previous summer, it looked like Timberbiel was over for good. Rumors that Timberlake and his Friends With Benefits (2011) co-star Mila Kunis carried on rehearsing for the steamy rom-com long after the shoot had ended gathered steam, coming to a head after they were spotted getting a little too close while promoting the flick together in the UK. "Justin couldn't take his eyes off Mila," one source claimed. "He was hanging on every word she said, and laughing a little too heartily at her jokes." While friends of the couple told People that Biel "always wanted to turn a blind eye" to the situation with Kunis, in the end even she allegedly started to believe the buzz. The couple split, and while Timberlake's camp denied any shenanigans with Kunis, the pop star's track record made his case a hard one to argue. The smooth singer has had to deny involvement with a number of celebs throughout his dating timeline with Biel, including Rihanna, Kate Hudson, Lindsay Lohan, Olivia Munn, Olivia Wilde, Scarlett Johansson, and Ashley Olsen. Whether there is any truth to the infidelity rumors or not, JT seems to be making a real effort to let the world know there's only one girl for him. Another rumored catalyst behind Timberbiel's implosion in 2011 was a surprise party Biel threw for him at his Mulholland Drive home in honor of his 30th birthday. At the party, an insider said Biel "gushed" over her man in a passionate and heartfelt speech, but instead of a romantic response from her one true love, JT reportedly got to his feet and yelled "yeah b*****s," dismissing his wife's words and shocking her friends. "It was really awkward" the source said. "Justin's reaction was almost disrespectful. He just laughed it off." The pair had only just recovered from a wobble in November the previous year, and Justin's childish behavior could have well been the straw that broke the camel's back. 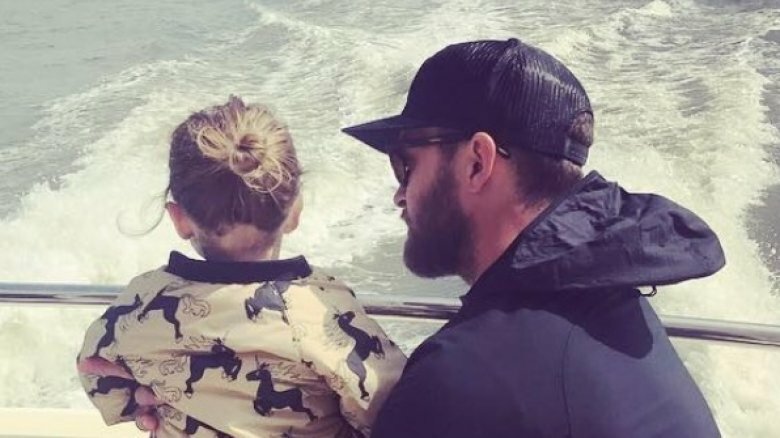 When it comes to Timberlake gossip, there aren't many better sources than Sadie Bomar, the star's brutally honest grandma. According to a 2009 story in the Daily Mail, Bomar said, "Jessica was keen to marry, but Justin isn't ready. He's busy writing new material and he works hard to be successful–he's really focused on that. As far as we're concerned, he's always been single. The girlfriends come and go, but we believe nothing has ever been serious. Justin does his own thing and he isn't ready to marry just yet." While these claims were denied by a source close to Biel, a friend of Timberlake echoed granny's sentiments. "Justin was dying to be single and have fun," his buddy told People. "He was torn, because Jess is an amazing woman and considered to be marriage material, and he loved that about her. But he couldn't drag her along just because one day in the far future he'd want to marry her. It was making her crazy, and it was making him hate himself." Unfortunately for Biel, her relationship with Timberlake hit the rocks around the same time his film career was starting to take off, meaning she missed out on some pretty fancy parties, including the biggest bash of all. When Timberlake attended the 83rd Academy Awards in support of best picture nominee The Social Network (He portrays Napster founder Sean Parker in the film,) he didn't invite Biel to walk the red carpet on his arm. He brought his mother instead. While his split from Biel wasn't official at this stage, her absence from the 2011 event–at which Timberlake co-presented an award with rumored lover Kunis–spoke volumes. If Biel was bothered by that, she didn't let on. In fact, the actress posed for pics at a star-studded Vanity Fair Oscar Party at West Hollywood's Sunset Tower later that night, dropping jaws in a revealing gold Versace gown that showed a whole lot of chest and back. It also showed Timberlake exactly what he would be missing if he refused to put a ring on it, and all of a sudden, the curly-haired heartthrob had a change of heart. Did the prenup sour the engagement? Timberlake wasn't the only one to suddenly change his tune about marriage. His family also made a complete 180 on the subject. JT's loose-lipped granny Bomar was at it again as 2011 drew to a close, taking it upon herself to announce that Timberbiel was not only alive and well, but that her grandsom had finally popped the question while the lovebirds vacationed in Wyoming. "He called me on Christmas Day and told me he's engaged," Bomar revealed. "The family loves Jessie…she's a very sweet girl." A sweet girl she may be, but a gullible one she is not. It reportedly wasn't long before engagement celebrations turned into sour discussions over a prenuptial agreement, with a source telling Star magazine (via SheKnows) that trust issues and a proposed fidelity clause were the main sticking points between the pair. "She thinks if he strays during the marriage, she should be royally compensated," the insider claimed. "She wants a fidelity clause in the prenup giving her at least $500,000 if he does. If he's faithful for several years, maybe she'll agree to have his baby. She doesn't trust him 100 percent yet. Jessica figures if she gets fat during the pregnancy, he'll cheat again." After three years of marriage, Timberlake broke their baby news to the world in 2015 with a photo of him kissing Biel's baby bump. A few months later, they welcomed their son, Silas, to the world, ushering in what appeared to be a period of calm in their relationship. In her first post-baby interview, Timberbiel glowed as they chatted to E! News about the magic of parenthood. Timberlake even used his speech during his induction into the Memphis Music Hall of Fame to proclaim his love for his wife, calling her "beautiful, loving and incredibly understanding of her husband's shortcomings." If the shoe was on the other foot, however, would Timberlake be as understanding? In something of a role reversal, rumors emerged in 2016 that Biel was stepping out with a "mystery hunk" and was ready to call it quits with JT. There was also scuttlebutt that Timberlake and Biel were involved in a "nasty fight" over their joint fortune. "They're at war over everything these days," an insider said, "from Justin's rumored affairs to his demands that Jessica put her career on hold and have another baby." Rumors of turmoil in camp Timberbiel began to fade in 2017, perhaps because the couple seemed to be consistently broadcasting its happiness. During an interview in May, Biel complimented her husband's charm and sense of humor. However, she raised eyebrows when she admitted that she doesn't want her son, Silas, to go into his daddy's line of work when he grows up. "There are many qualities I'd love him to get from Justin," she told news.com.au. "But there's one thing I don't want for him—I really don't want him to be a musician." When pressed, Biel said she was "sort of" joking. "In reality, the music business is really tough," she said. "I already have this image of him as a struggling musician and that's like, 'Oh my God!' As a mum, you think 30 years into the future and you're like, 'How do I fix this for him?'" A few months later, Biel addressed her husband's influence again with family friend Jimmy Fallon on The Tonight Show. Biel admitted she feels "a little intimidated" by her son's cool-kid behavior. "It's kind of like a mini-Justin," she said. "It's his style. He's got, like, a daddy swagger." 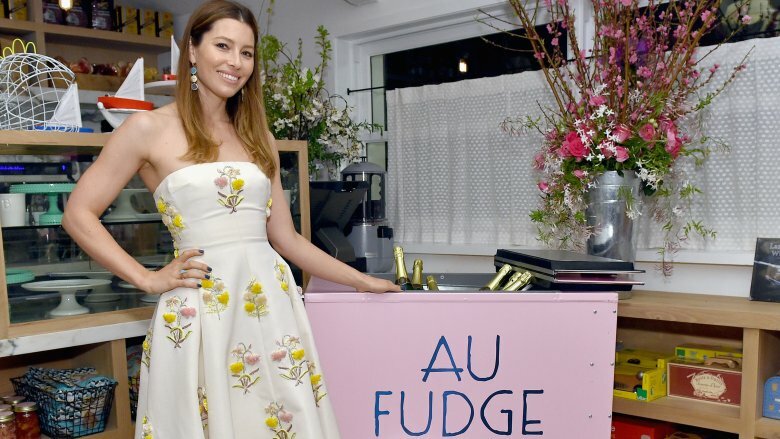 Biel has been working hard to raise another "baby"–her kid-friendly LA restaurant Au Fudge–so dealing with an embarrassing lawsuit directed at her business may be straining her marriage. The actress is supposedly "freaking out" over being sued by former employees for allegedly pocketing staff tips worth $430,100, reported Radar Online. "This is very much Jessica's baby, work-wise," an insider said. "She's put her heart and soul into making it a success, so to have people accuse her of short-changing them has hit her hard." Timberlake has reportedly been doing his best to support her. "Justin's been trying to lift her spirits but she's gotten very little sleep and is glued to her work emails and phone while this mess is sorted out," the source said. "This is a very difficult time for her and Justin, for sure." In September 2017, the Daily Mail published photos of the couple leaving a New York restaurant. The paparazzi pictures show Biel seemingly storming off in front of her husband as he calls to her from a few feet away. "Neither one seemed to be in great spirits," the Daily Mail said. To which we might shrug our shoulders and say, "Who hasn't enacted this same scene with a partner at some point in their lives?" Considering the sheer volume of ink that tabloids have devoted to Timberbiel doomsday press, such claims need to be taken with a serious pinch of salt. The duo's reps have insisted everything is as it should be between this Mr. and Mrs., and—for now, at least–that certainly seems to be the case.